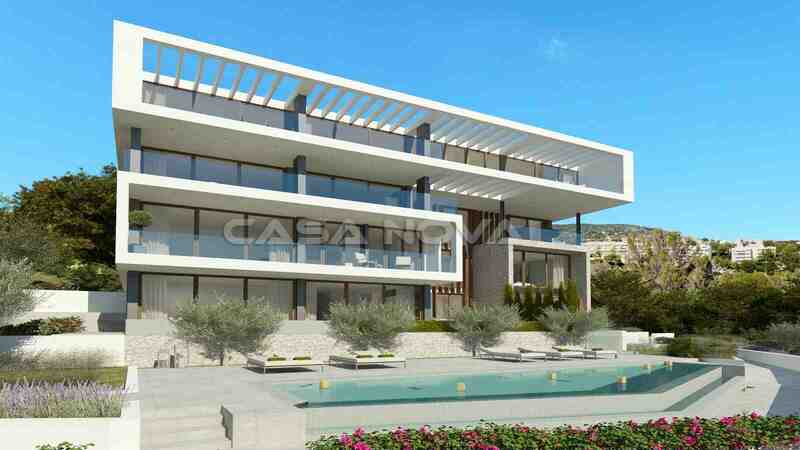 Ground floor apartment Mallorca: This luxurious apartment with pool and excellent sea views is situated close to the beach in Cas Catala, in the south-west of Mallorca. 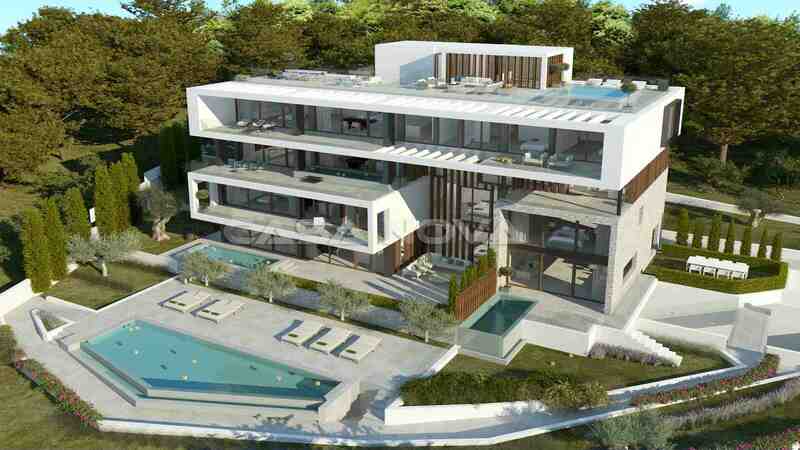 The fantastic, bright property with beautiful views over the entire Bay of Palma has a living area of approx. 207 m2. The apartment consists of a spacious living room with large windows, a kitchen equipped with electrical appliances of brand Miele, 3 bedrooms with fitted wardrobes, 2 bathrooms as well as a storage room. 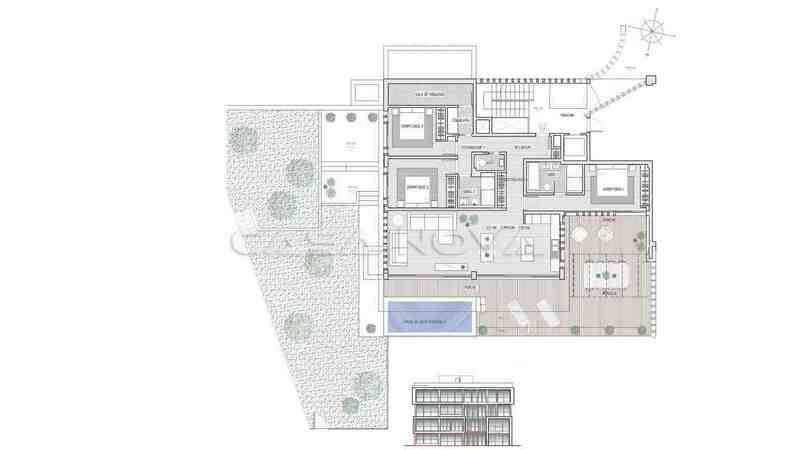 The beautiful residential complex has a communal pool with salt water and a garden. The famous architect Alejandro Palomino has managed to combine design with functionality here. Exclusively the materials of the best quality were used for the construction of the complex, which leaves no wish open. From the apartment you also have access to the private pool and garden, where you can enjoy the sunny days in Mallorca. The property is equipped with: underfloor heating, air conditioning hot /cold, double glazed aluminum windows, stone and wooden floors as well as BUS system. The modern building has an elevator. You have 2 parking spaces in the garage to your disposal. 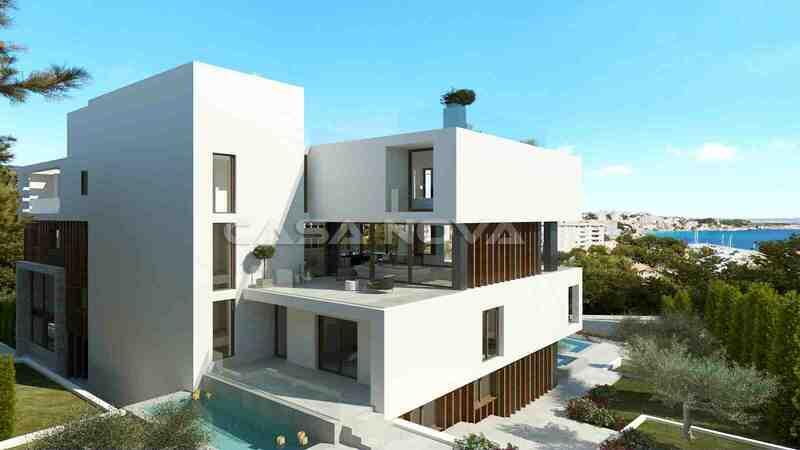 Cas Catala is a green and quiet locality on the outskirts of Palma de Mallorca. The combination of urban life style as well as holiday feeling is particularly prevalent here. There are numerous restaurants and bars as well as great shopping nearby. Many beaches are easily reached and the traffic connection is excellent. Within few minutes by car you reach the center of Palma, the international airport is 15 minutes by car away. 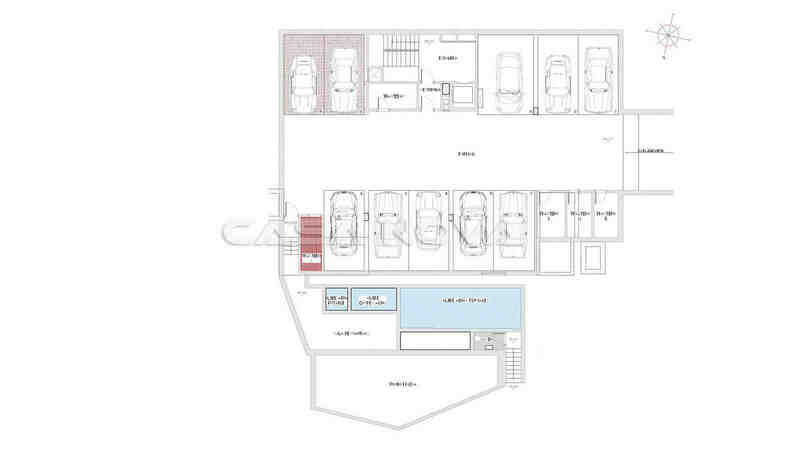 This property is presented to you by your competent estate agent - Casa Nova Properties. For the buyer there is no fee.